The way social networks have impacted our personal and professional lives is far greater than most of us could have anticipated. While we were battling with our friends over getting cut from their top friends list on their Myspace profile, we couldn’t have imagined the impact of social media today. The evolution of social networks in the past 10 or even 5 years has been truly remarkable. 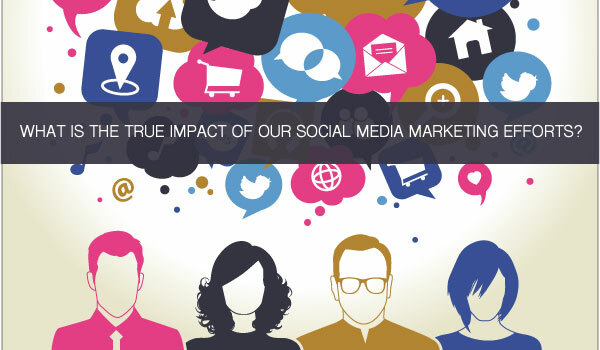 Social Media Examiner’s 2015 Social Media Marketing Industry Report holds valuable insight into how marketers are incorporating social media, how much time they’re spending and what is on the horizon. With 92% of marketers reporting that social media is important to their business, it’s clear that marketers believe social media holds weight, but what is the true impact on their business? With ubiquitous internet connectivity and billions of people empowered to create and publish online, digital marketing competition is greater than ever. Companies are increasingly challenged to create quality content that can stand out to attract and engage new customers. How can businesses grow their reach and improve content quality in such a market? Through participation marketing with industry influencers. Over the past year, the expression “influencer marketing” has exploded in popularity and many marketing communications professionals are continuing to see influencers in the light of “celebrity endorsements”. 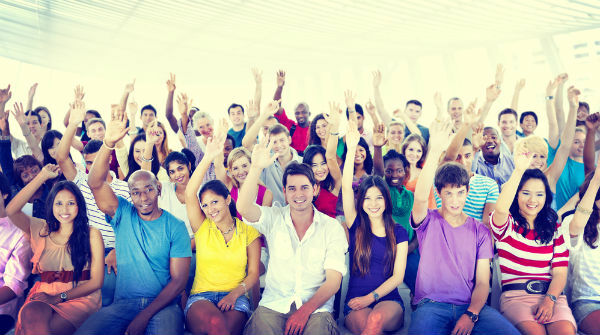 There’s more to influencer marketing than advocacy. But there’s more to influencer marketing than advocacy and all influencers are not created equal. With participation marketing, companies can take a view of working with influencers of different types to produce a variety of benefits – all through content. Marketers are always looking for new and efficient ways to learn. As a marketer, I’ve recently begun working podcasts into my ongoing learning routine. I’ll admit, I resisted for awhile (which was dumb). I think it’s because I have an aversion to books on tape/CD, which comes from being forced to listen to children’s books on repeat during annual family trips up and down the Oregon coast. A realization hit me one day when I was reading entertainment “news” and taking a quiz to find out my spirit animal. I spend an exorbitant amount of time consuming a lot of content-light when I’m on the go, when I should be using that time to keep up to speed with what’s going on in my industry. For nearly 900 B2B marketers, this week will bring a cornucopia of ideas, insights and networking opportunities to the BMA National conference in Chicago. There’s a lot going on in the B2B marketing space from the increase in humanization of business marketing content to the application of big data, the impact of video, mobile and ecommerce. The need to innovate isn’t owned by B2B marketers of course – CMOs are looking hard at differentiating their marketing and digital marketers are always looking ahead to see what marketing trends are worth exploring, experimenting with and adopting. Making sense of it all takes time, so as part of my prep for the event, I’ve curated a nice mix of helpful resources, thoughts about future B2B marketing trends and even some case studies. The 2015 B2B Marketing Report from Content Marketing Institute and MarketingProfs sheds a pretty bright light on the true state of B2B content marketing. While 86% of B2B marketers are using content marketing, only 8% rate their content marketing efforts as “very effective”. It’s not so different than teams participating in sports like football. Sure, everyone is playing, but who is actually really good at it? Fundamental blocking and tackling are key for a winning football game. The same can be said for implementing a successful B2B content marketing program: mastery of the fundamentals is essential. With B2B content creation in particular, marketers must be prepared for everything from understanding the voice of the customer to developing the right mix of content assets. What does it take to become an authority in your industry? How can we make better sense out of an integrated approach to digital marketing? According to the presentations we saw at Authority Rainmaker 2015, it takes the passion to learn and pursue knowledge, the expertise that warrants credibility and respect of your peers and the time and effort to earn your place as an industry thought leader. While only in it’s second year, Copyblogger’s Authority conference brought the passion and expertise that will no doubt result in achieving authority status among digital marketing events in the industry. Alexis Hall, Lee Odden and I had the pleasure of representing TopRank Online Marketing for this informative and entertaining event, which took place at the beautiful Ellie Caulkins Opera House in downtown Denver Colorado. We met interesting people, created great blog and social content and learned lots of great digital marketing tips to share with our agency team. These three statements mean the same thing, but each is a unique way of asking for the desired item. Often, it’s not what you say, but how you say it. 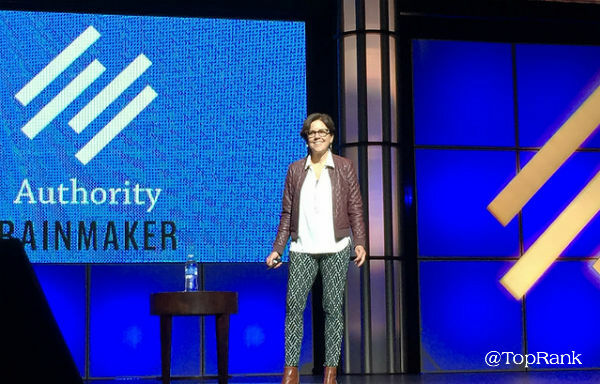 In her session at Authority Rainmaker 2015, Ann Handley shared the belief that brand voice is key to creating good content marketing that will set you apart. There is this idea that as quantity of content increases, quality takes a nose dive. So how do you maintain or increase quality of content while increasing quantity? It starts with being really good at the basics, like brand voice. To say there have been major changes in search marketing in recent times would be a big understatement. From the increased complexity and intelligence brought about by several Google search algorithm updates to the meteoric rise of mobile device usage, search marketers have had plenty to keep them busy. Founding editor of Search Engine Land, Danny Sullivan has been an authoritative voice in the search marketing industry for nearly two decades, so he’s certainly seen and weathered plenty of big changes since the inception of search. In his presentation at Authority Rainmaker 2015, Danny educated and entertained the audience with insights into the current state of search and how businesses and marketers can prepare for the future. 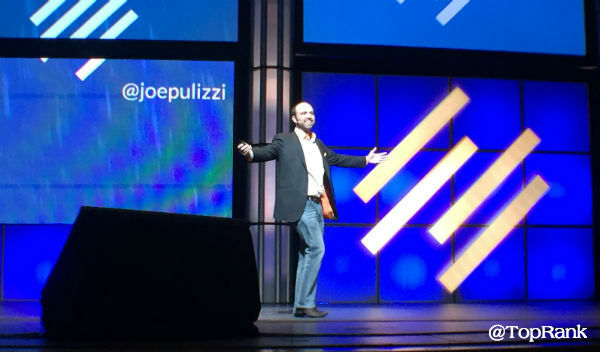 Joe Pulizzi has been a content marketer before content marketing had a name. While working at a media company in the Custom Publishing department, he had dreams of starting a small business, which he eventually did in 2007 by starting a blog about content marketing. Fast forward 3 years later and he had built Content Marketing Institute, which is well-known today as a source of content marketing thought leadership, training, events and consulting. 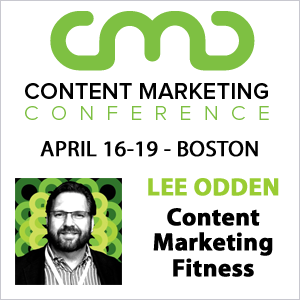 Today, Joe is joined by many other companies who built their businesses aided by the power of creating an audience first through content marketing, such as CopyBlogger Media, Social Media Examiner, Moz and even our very own agency, TopRank Online Marketing.